Finding a good fur vest is never and easy task. I seem to be very lucky in ending my search at Forever 21 at a great price point! This warm and fuzzy option had faux-leather trim inside the button panel and some great vertical fur color tones that help give a lengthened appearance to an otherwise boxy piece. And sure, I can wear this vest with any number of colors but this time I chose to go for all black with my favorite new "magic" pants and a textured knit sweater. 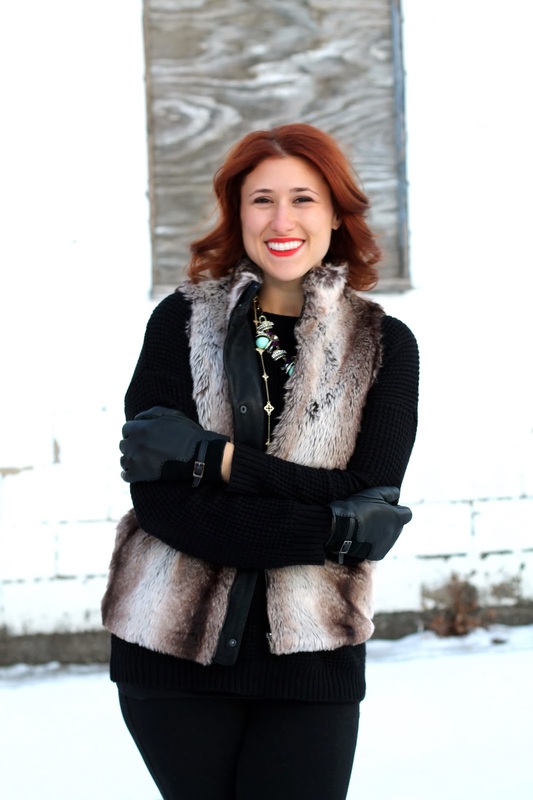 This is a cute vest - and such a key winter piece. Always chic AND warm!